Requirements: Abstracts, papers, and/or panel proposals should describe original work related to the economy of Cuba in a broad sense, including legal, sectoral, and social aspects of economic development. 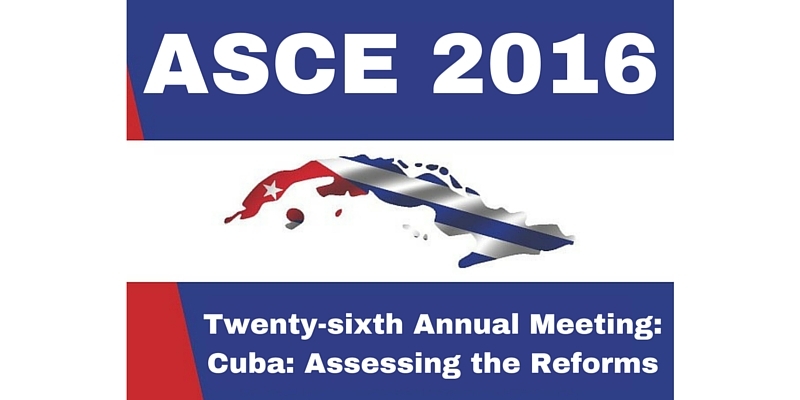 Abstracts must not exceed 250 words and must be received via an email to asce@ascecuba.org by May 22, 2016. Include the words “ASCE CONFERENCE ABSTRACT” in the subject line. Authors of accepted papers will be required to register for the annual conference. Visit our website http://www.ascecuba.org/ for further information.